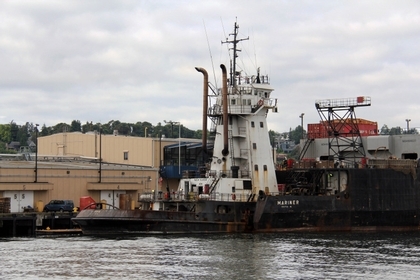 Built in 1978, by the Marinette Marine Corporation of Marinette, Wisonsin (hull #7701) as the J.J. Oberdorff for the American Cargo Transport Corporation of Tukwila, Washington. Constructed as an Integrated Tug and Barge (ITB) unit, with the barge American. The concept was to construct a unit that is capable of carrying combinations of breakbulk, roll-on, roll-off and containerized cargo. Most of the existing capacity in the commercial fleet at the time was foreign flagged. In addition, these vessels were dependent on large deep draft ports and require special cargo handling equipment to unload. The unit in contrast had the ability to utilize shallow draft, and multiple discharge capabilities to service virtually any port direct and is totally self sufficient for loading and unloading operations. When the unit is locked together it is capable of calling most docks with a minimum draft of twenty feet. 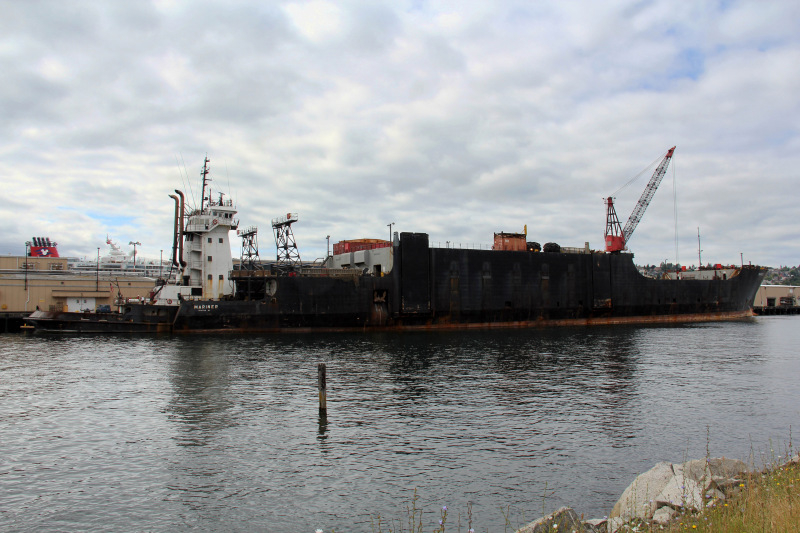 When the tug is separated from the barge, the draft can be as little as ten feet (contingent on cargo capacity). She is capable of beach landing through use of its bow ramp. This involves the vessel's capability of discharging with water depth as low as ten feet. Within forty, to fifty feet from shore, with a constant taper of twenty, to twenty five feet, five hundred feet away from the shore. With a unique network of internal, bow, and side ramps. And, a sixty ton onboard crane, in addition to the internal elevator. The vessel is fully self contained for loading and, or unloading at almost any dock as well as over the beach. The unit can accommodate single, heavy, roll on/roll off pieces as large as 380(ft) long, by 15(ft) wide. In addition, the vessel can accommodate, single roll on/roll off pieces of 40(ft) long, 24(ft) wide, and 20(ft) high. On the upper deck, she can accommodate lift on/lift off single pieces to 350(ft) long, 80(ft) wide. With height limitations determined by stability limits. As well as generators to accommodate refrigerated, and temperature controlled containers. In 1985, the American Cargo Transport Corporation renamed the tug as the Caroline. And, the barge retained its name. In 1990, the American Cargo Transport Corporation was acquired by the Foss Maritime Company of Seattle, Washington. Where the tug was renamed as the Strong. And the barge, was renamed as the Mariner. In 2017, the tug and barge were sold for scrap, and beached at Bhavnagar, India in September of that year for dismantlement. She was powered by two, twenty cylinder, EMD diesel engines. With Lufkin reduction gears. Turning two, fixed pitch propellers, mounted in kort nozzles. For a rated 7,200 horsepower. Her electrical service was provided by three, 300kW generator sets. The tug's capacities were 104,612 gallons of fuel.